´Grand Theft Auto´ is coming to the Nintendo DS, I can exclusively reveal. The latest rumours regarding this title are, however, wrong in a number of respects. My inside sources have confirmed that this story is not true. ´Grand Theft Auto IV´ will never be released on the DS. However, an installment of the ´Grand Theft Auto´ series will make it to the DS. This title is still in an early development stage, though. A launch date of June is illusory. My guess is that we will have to wait until next year. I can say no more than that. Just remember that I exclusively revealed that Rockstar´s ´Table Tennis´ was in the works for Wii. While we are on the subject of ´GTA IV´, by the way, noone has yet revealed which celebrity voices over DJ Karl from the game´s K109 - The Studio radio station. Highlight the next sentence if you don´t want to take a guess yourself. DJ Karl is actually German fashion guru Karl Lagerfeld. Also, I have to ask you for a little more patience regarding my in-depth article on ´Crossbeam Studios´. I am waiting for some company documents I requested from the Illinois Secretary of State. The article is almost finished, it should be up in a few days. 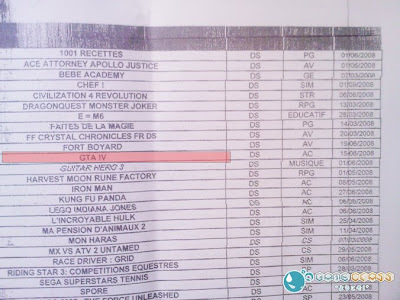 gta for wii is it coming? This is an April Fool's joke, right? I have a question Falafel. Do you think the Wii will ever make games that look better than the PS3 or XBOX 360? Much like the SNES did with Donkey Kong Country? The answer is no, at least for the foreseeable future. The same source maintains that ´GTA´ is simply not suited for Wii. I think that´s rubbish, especially with ´Manhunt 2´ out. Also, that´s just his opinion - he simply doesn´t know about a Wii version. That alone is reason enough, though, to believe that Rockstar and Take2 have no such plans. He should know if there was one in development. Hey Anonymous 2 & 3. Let me be honest. I never really played older Nintendo systems (apart from a couple of Game & Watch handhelds my parents bought). I really only started with the Gamecube. So I cannot comment on your comparison. Of course, the Wii is not capable of high definition resolutions. It´s that simple. But as far we are talking about standard definitions (PAL or NTSC), the visual gap between Wii and the other two is smaller than most people think - theoretically, at least. You just need to play the right games. Go check out ´Metroid Prime 3´ and compare its visuals to ´Halo 3´. If you´re absolutely honest, there really is not much of a difference. Once third parties realise that it´s worth investing in high-performance game engines for Wii (if they ever realise this), we will see more games like ´MP3´. To answer your question, though: The Wii will never exhibit a visual quality that is better than its competition. It can only match it in standard definition. I find it ironic (and asinine) that R* is willing to make a GTA for the DS. However, at the same time they laugh off the prospect for a Wii version that could (read: absolutely would) sell like gangbusters if handled correctly (for example, these companies need to actually ADVERTISE the game). Hey Falafelkid... There's been some rumors flying around about a new NiGHTS and Skies of Arcadia are being developed by Sega and are going to be revealed on their Gamer's Day convention. Where do you see the GTA series going from here? Bigger and better, as in more environments, weapons, and characters or somewhere different? Hi everyone. Hi M. Ferreira. I know nothing about any unannounced SEGA titles. But I will check with my sources. That is, only if your kids can focus their attention away from playing ´Mahunt 2´ on their Wii. You need to learn English grammar. Badly. I really am no expert on the series. I played little of it, really only San Andreas. But my take on GTA is that it never really stood out for its graphics. It seemed to prioritize large and (to an extent) destructible environments with no loading times instead. Also, the series places great emphasis on the story. And what we know about GTA IV hints at a storyline somewhat reminiscent of ´The Godfather´. So this is the direction I see GTA heading in: larger environments, more freedom and more detailed storylines. If this in-depth article requires documents from the State of Illinois then Crossbeam is about to get exposed as a fraud. Also GTA IV not suited for Wii is a weird comment. Take-Two is being too skeptical of Wii and refuses to commit to a Nintendo console. However, Take-Two probably doesn't a lot of cash for a Wii exclusive. GTA games are pretty expensive to make so Take-Two might think the risk is too great. Well, to give you an early summary of what I will post in the next few days, fraud is far too harsh a word. They are a registered company, which means they feel serious about what they do. However, it´s a Limited Liability Company and practically anyone can found one. No downpayment or even capital is needed. You simply need to pay a small admin fee and file annual reports (which is what I ordered, since they are on public record). That´s the executive summary on that. 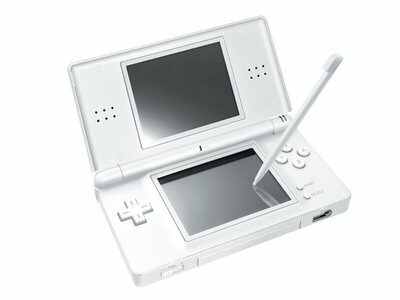 a new DS or DSredesign in the works!? falafelkid-- we need you! what's up!? I hope so Superfan, im a bit bored of the design (although its nice). But then again it still plays decent games. looking forward to reading your Crossbeam article too Fal. I still lurk around. I've been playing Mario Kart, it is good. On topic: Crossbeam studios seems to be a fun little enigma in the gaming industry. They were basically irrelevant until the Wii was announced, when people started getting hyped up on Orb. To date, (mind you, it's been close to THREE years now), we've gotten what? Five pieces of concept art? These people are either on a Gizmondo level of corruption, or they're DEFINITELY not eating. I thought this was pretty interesting. A third party FPS designed from the ground up for the Wii. The engine looks pretty solid from what they show. hey and1, mad props mal wieder für deine vorhersage! heute wurde es ja confirmed. woher die info?? woah! people shades! people shades! including a lovely figure created by the dress... i Iphone 4s case love it!Another great post. I love that you are really sincere along with direct to the stage.